Premium 7 ounce, single bend leather. 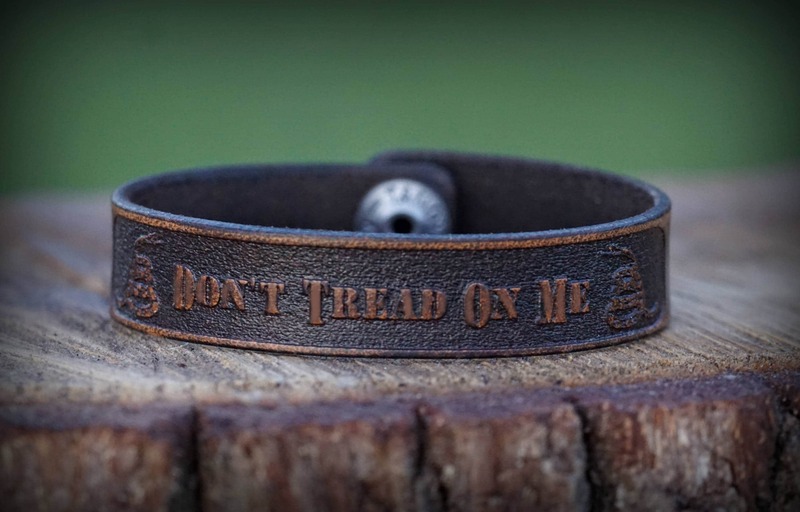 Comes engraved with the "Don't Tread on Me" logo. Hand dyed, oiled, distressed, and finished in house.